You can do several things to try to avoid Alzheimer's disease. One of those is through eating specific foods. Research suggests that simple dietary modifications may help prevent this disease. Check out five foods that are proven to help prevent Alzheimer's. A pathological change leading to the deposit of amyloid proteins in the brain is thought to be an initiating event that leads to the development of Alzheimer's Disease. Inflammation and oxidative damage within the brain also leads to the disease. Curcumin, which is the component in curry responsible for its yellow color, has been found to have potent anti-oxidant and anti-inflammatory properties and has been the subject of much research in its potential to prevent the onset of this disease. According to The World Health Organization, (Figure 6.11.1) in India, where curry is a dietary stable, there is an unusually low prevalence of Alzheimer's Disease. The November 2001 edition of Journal of Neuroscience reports on a study involving mice given daily curcumin and the effects of this on plaque build up, oxidative damage and inflammation in the brain, all thought to be precursors to developing the disease. The results of the study show a significant decrease in all pathological changes in mice receiving curcumin. The investigators propose that curry spice shows dramatic potential for preventing the development of Alzheimer's Disease. The August 2014 edition of Neurobiology of Aging published a study that looked at amyloid pathology in mice. Mice that were given a diet rich in curry demonstrated a significant reduction in brain amyloid deposits compared to mice not receiving curry. Researchers agree that curry is full of powerful anti-inflammatory and antioxidants which act to protect brain function. Salmon, sardines and other fatty fishes are loaded with Omega-3 fatty acids, which have been shown to lower blood levels of beta amyloid, which is a protein associated with memory decline and Alzheimer's Disease. A study published by the American Academy of Neurology looked at 1219 people greater than 65 years of age with no signs of dementia. The results showed that the more Omega-3 fatty acids the participant consumed, the lower their blood levels of beta amyloid were. It was found that the intake of one gram of Omega-3 (one-half of a salmon fillet) per week is associated with a 20 to 30 percent reduction in beta amyloid. In the July, 2014 edition of American Journal of Preventive Medicine scientists report on a study looking at fish consumption over several decades and its effects on brain health. The study revealed participants that reported a long time, weekly consumption of fish had a larger volume of gray matter in the brain than subjects who did not routinely consume fish. The loss of gray matter is associated with Alzheimer's disease and the researchers conclude fish consumption may be an important protective mechanism for brain health. Berries are full of the antioxidants polyphenols, which stop inflammation in the brain. Polyphenols localize in areas of the brain that control memory. The April 2012 edition of Annals of Neurology reports on a study involving 16,000 women with an average age of 74. The study claims a two and a half-year delay in cognitive aging in women who report a high intake of berries. Another recent study featured in the April 2013 edition of Federation of American Societies for Experimental Biology demonstrated how berries effectively remove toxic buildup that can lead to Alzheimer's disease in the brain. Rats were fed a diet of berries for two months and then subjected to irradiation, which mimics accelerated aging in the brain. The results indicate that rats that were fed a berry diet demonstrated significant protection against radiation when compared to the control group. The researchers concluded that berries offer a protective effect, likely attributed to the high phytonutrient component. This may lead to improved cognitive function and a decrease in the incidence of Alzheimer's. The Journal of Alzheimer's Disease includes a study which investigates coffee and its potential benefits for the prevention of Alzheimer's disease. The study followed 124 people aged 65 to 88 with signs of mild cognitive impairment. The subjects that went on to develop Alzheimer's disease had a 50% lower blood level of caffeine when compared to their counterparts that did not develop increasing decline in cognitive ability. The main source of caffeine for the participants in the study was coffee. Another study published in Neurobiology of Aging discusses how caffeine prevents tau protein deposits in the brain. Tau protein deposits in the brain interrupt nerve cell communication and are a defining feature of Alzheimer's disease. Cocoa flavanol is a powerful antioxidant found in dark chocolate (but not in white or milk chocolate.) It has been associated with numerous health benefits, including improved memory. Reported in the October 2014 edition of Nature Neuroscience is a study involving people aged 50 to 69. It was discovered that those who drank a cocoa flavanol-rich drink for three months performed about 25% better on memory tests than those who drank a low cocoa flavanol drink. Researcher, Dr. Scott Small states the subjects with the high flavanol drink performance on the memory test was similar to individuals 20 to 30 years younger. A recent study performed at Harvard University and published in the September 2013 issue of the journal, Neurology, discusses cocoa consumption and its role in supporting neurovascular coupling, a process in which brain activity enhances blood flow. Neurovascular coupling is thought to play a key role in the prevention of Alzheimer's. The fear that cognitive decline and Alzheimer's disease are a given for older people is a myth. 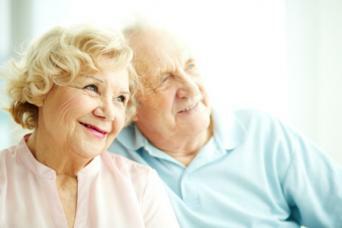 Many people are able to enjoy their golden years with full cognitive function and healthy activity levels. An active lifestyle combined with healthy nutrition can help keep you young at heart and in mind.